1.1. Investment projects to build new urban areas under the Government’s Decree No. 02/2006/ND-CP dated January 5, 2006, promulgating the Regulation on new urban areas (applicable only to land areas for building houses or other works for which capital may be raised from customers under law). 1.2. Projects to build houses for sale or lease (even projects to build high-rise works for multiple use purposes, including use as houses). 1.3. Investment projects to build and commercially operate industrial park infrastructure under Article 90 of the 2003 Land Law (excluding investment projects with land leased by the State). 2. Grade- 1 investors that are overseas Vietnamese or foreign organizations or individuals implementing investment projects to build houses for sale or lease and paying land rent in a lump sum for the whole land-lease duration under Article 32 of the Government’s Decree No. 84/2007/ND-CP dated May 25, 2007, may pay land rent like land use levy under this Circular. 1.1. Based on the implementation schedule indicated in the approved investment project, the investor shall register in writing the project implementation schedule (enclosed with the project dossier) with the finance and tax agencies of the locality where exists land, as a basis for land use levy collection and payment. a/ In case the investor has to adjust the project implementation schedule, within 30 working days from the date of issuance of the competent authority’s decision adjusting the project implementation schedule, the investor shall re-register the adjusted project implementation schedule with the local finance and tax agencies under the law on investment and construction management. b/ In case the actual progress of project implementation is faster than the schedule registered with the finance and tax agencies, within 15 working days, the investor shall report such in writing to the finance and tax agencies for calculation, collection and payment of land use levy based on the actual progress. c/ For projects to build new urban areas; or projects to build industrial parks or houses occupying land areas equal to or larger than those occupied by new urban areas under the Government’s Decree No. 02/2006/ND-CP, if a project is implemented in different phases in each land area, each phase shall be separated into an independent sub-project and the determination, collection and payment of land use levy for each phase (sub-project) comply with the principles specified at Point 1.2 and 1.3, Clause 1 of this Article. d/ After having been transferred part or whole of the land area, the investor that delays the project implementation, thus prolonging the approved project implementation schedule, shall pay to the State an amount equivalent to the land rent at the rate set annually by the provincial-level People’s Committee for the prolonged duration of project implementation. The finance agency shall determine the land rent payable for the prolonged duration of project implementation (if any) under the law on land rent collection, which shall be collected together with the land use levy by the tax agency. 1.2. The finance agency shall, based on the Government’s regulations on collection of land use levy, assume the prime responsibility for, and coordinate with concerned local agencies in, determining and submitting to the provincial-level People’s Committee for decision the land use levy rate according to the Government’s policies on land prices at the time of issuance of the land allocation decision. In case the time of land handover does not coincide with the time indicated in the land allocation decision, land use levy shall be determined according to policies and on the land price at the actual time of land handover. - For housing projects, the time of paying the first installment is the time a grade-1 investor has completely built the work’s foundation according to the project implementation schedule specified at Point 1.1, Clause 1 of this Article (satisfying the condition for raising capital from customers). In case there are 2 or more house works within the same land premise planned for house building, the investor shall make the first installment within 30 days after raising capital from customers of the first house-work, calculated for the whole area of land premise subject to land use levy. Clause 1 of this Article (satisfying the condition for raising capital from customers). After having built technical infrastructure (satisfying the condition for raising capital from customers), if the grade-1 investor transfers over 70% of land use levy-liable land area with built technical infrastructure to grade-2 investors, it shall, within 30 days from the date of transfer, remit the whole land use levy into the state budget. - For investment projects to build new urban areas planned for multiple use purposes (residential quarters, service works and technical and social infrastructure facilities), the time of paying the first installment is the time a grade -1 investor has completely built the project’s technical infrastructure (satisfying the condition for raising capital from customers). After having built technical infrastructure (satisfying the condition for raising capital from customers), if the grade-1 investor transfers over 70% of the land use levy-liable land area with built technical infrastructure to grade-2 investors, it shall, within 30 days from the date of transfer, remit the whole land use levy into the state budget. In case the grade-1 investor directly builds a number of combined work items, including houses and other service works within the new urban area for which capital may be raised from customers under law, the calculation, collection and payment of land use levy for this area are the same as those for housing projects specified in Clause 1 of this Article. If, at the time of the first installment, the land price set and publicized by the provincial-level People’s Committee sees an increase or a decrease by 20% or more compared to the time of issuance of the land allocation decision (or the actual time of land handover), the finance agency shall re-determine the land price based on the actual market price of land use right transfer under normal conditions in order to re-calculate 70% of the payable land use levy for the first installment and transfer such to the tax agency for issuing a land-use levy collection notice. b/ For the second installment, the investor shall pay the remaining 30% of land use levy after a work has been completed and handed over for use and within 18 months (for housing projects) or 24 months (for investment projects to build new urban areas or build and commercially operate industrial park infrastructure) from the date of the first installment. If, at the time of the second installment, the land price set and publicized by the provincial-level People’s Committee sees an increase or decrease by 20% or more compared to the time of issuance of the land allocation decision (or the actual time of land handover), the finance agency shall re-determine the land price based on the actual market price of land use right transfer under normal conditions in order to re-calculate the remaining 30% of the payable land use levy and transfer it to the tax agency for issuing a land-use levy collection notice. (Example: On March 1, 2009, investor A was, under a decision of the People’s Committee of province X, allocated 40,000 m2 of land subject to land use levy for implementing a housing project in the locality. The land is actually handed over on December 1, 2009. According to the project implementation schedule, the investor shall make the first and second installments of land use levy in October 2010 and May 2012, respectively. Presuming that the land prices applicable in the locality, set and publicized by the provincial People’s Committee on January 1, 2009, October 1, 2010, and May 1, 2012, are VND 12 million/m2, VND 13 million/m2 and VND 16 million/m2, respectively; the land price is determined to be closer to the market price is VND 15 million/m2 at the actual time of land handover (December 1, 2009) and VND 20 million/m2 in May 2012. 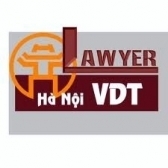 Since the land price set and publicized by the provincial People’s Committee at the time of the first installment increases below 20% (VND 13/12 million = 108.3%), the land use levy rate will not be adjusted. Specifically, for the first installment, the to-be-notified payable land use levy will be 40,000 m2 x VND 15 million/m2 x 70% : VND 420 million. Since the land price set and publicized by the provincial People’s Committee at the time of the second installment increases over 20% (VND 16/12 million = 133.3%), the provincial Finance Department shall re-determine the land price (presumed to be VND 20 million/m2). So, the to-be-notified payable land use levy will be 40,000 m2 x VND 20 million/m2 x 30% = VND 240 million. The total payable land use levy for both installments will be VND 420 million + VND 240 million = VND 660 million). During project implementation, if a grade-1 investor builds the technical infrastructure or foundation of a work (satisfying the condition for raising capital from customers) sooner than the project implementation schedule registered (or re-registered) with the finance and tax agencies but delays the reporting and declaration for calculation and remittance of land use levy into the state budget, it will be liable to pay a fine equal to 0.05% of the payable land use levy for each delayed day, counting from the date the project satisfies the condition for raising capital from customers. 1.4. A grade-1 investor that wishes to pay in a lump sum the whole (100%) land use levy after the project satisfies the condition for raising capital from customers under law may do so under Item a, Point 1.3, Clause 1 of this Article. Within 3 months from the date the project satisfies the condition for raising capital from customers, the grade-1 investor shall fully remit into the state budget the land use levy for the allocated land area subject to land use levy. 1.5. If a grade-1 investor advances an amount for paying land compensation and support under an approved plan, this amount may be deducted from the payable land use levy under the laws on compensation support and resettlement and land-use levy collection. The advanced amount will be deducted from the payable first installment of land use levy. If it is larger than the first installment, the difference may be further deducted from the payable second installment of land use levy. 2.1. An investor that is allocated land by the provincial-level People’s Committee through land use right auction shall pay land use levy within the time limit specified in the approved Regulation on auction, which must not exceed 3 months from the date of issuance of the competent state agency’s decision approving auction results under the law on auction of land use rights. 2.2. An investor that is allocated land by the provincial-level People’s Committee not through land use right auction shall, within three (3) months from the date of issuance of the competent state agency’s land allocation decision, fully remit land use levy for the allocated land area into the state budget. 2.1. A grade-l investor that chooses to pay land use levy under a competent state agency’s notice shall pay it as notified and a fine for the late payment duration under the law on tax administration. 2.2. For a grade-1 investor that chooses to pay land use levy under the Government’s Resolution No. 33/2008/NQ-CP dated December 31, 2008, the payable land use levy must be re-calculated, collected and paid under this Circular. 3. For projects for which land use levy has been notified by a competent state agency and investors have remitted land use levy into the state budget, this levy will neither be refunded nor re-determined under this Circular. Ministries, branches and provincial-level People’s Committees should promptly report any problems arising in the course of implementation to the Ministry of Finance for study and settlement.